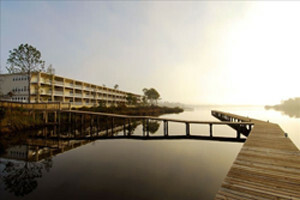 Wolf Bay Landing Condominiums is a great place for retreats, family reunions, etc., because large groups can rent multiple units in the same building, close to one another, but we do not offer package deals. Wolf Bay Landing is an ideal location for your group to enjoy and share in our peaceful and relaxed environment while taking advantage of the on-site meeting room, large parking lot, kayak put-in and other amenities. Please contact Mihyon Ellis at (251) 421-1965 to get more information about booking your next group meeting, reunion, or party at Wolf Bay Landing. Ask about the availability of packages that include special accommodations at top Mexico resorts.